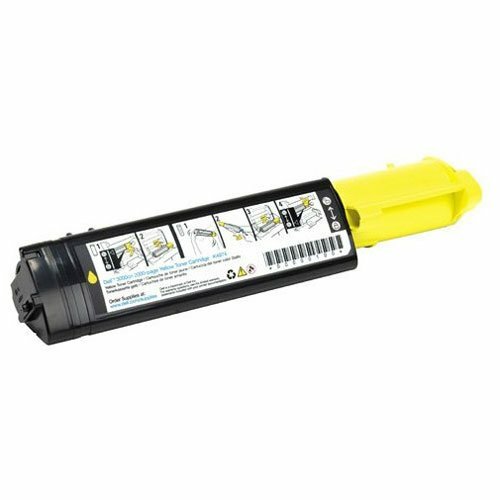 The 2000-Page Yellow Toner Cartridge from Dell™ is designed to work with Dell™ color laser printer. This cartridge, when used in conjunction with the Black, Cyan and Magenta cartridges, can produce high resolution color printouts with sharp images and text. It offers a yield of up to 2000 pages and supports Dell's Toner Management System™ for low toner detection and easy online ordering.